The pinnacle of eco-luxe, African Botanics occupies its own space within the beauty market. 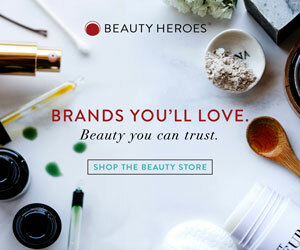 Luxe without being ostentatious, the products are just at home at Net-a-porter, next to Gucci and Prada, as they are at CAP Beauty, the premium New York destination for all things green beauty. I met the founders Julia and Craig about a year ago, when they were in Melbourne to launch African Botanics at Mecca Cosmetica (Australia’s answer to SpaceNK or Sephora). Coincidentally, they were staying at a hotel close to me, and without much planning, we caught up for brunch. We bonded instantly, and much to the boredom of their kids, spent a lot of time checking out skincare and fragrances at my local Mecca store. I was so pleased to learn that the people behind one of my favourite brands were just as amazing as the products they made. We share many common interests, and they’ve become some of my favourite people in the beauty industry. In this ‘Behind the Brand’ feature, I have a conversation with Julia (with input from Craig) about the brand they created as a love letter to South Africa, where they are both originally from.